Why Would I Buy Your Product and Not The One Next To It? You’ve decided to launch a new product and you’re very excited. You have no doubt that it is good. Actually, it’s clearly the best in its class. In an ideal world, you easily deserve to be the market leader. The question is, are we living in an ideal world? Let’s say you’re about to launch an anti-perspirant deodorant. Most of the products on the shelves contain an ingredient, aluminum, which increases the risk of cancer. There are very few natural alternatives without aluminum, but they are much more expensive, and less effective. In such an environment, you have a product that doesn’t contain aluminum, but instead, has a strong, unique formula which truly eliminates odor. Also, it’s not expensive at all. Your invention is the one that the consumer has been waiting for, for years. You trust your product so much that you didn’t even care for brand identity or packaging design. ‘What matters is the product itself’, you said to yourself. In what way will it speak to the consumer who is about to make his/her buying decision? How will it convince that person to buy one and give it a try? Without having solid answers to these questions, your product can vanish in the competition regardless of its quality. In the last 20 years, brands became 200% less distinct from one another. * This number keeps growing and it gets even more difficult to differentiate a brand every other day. 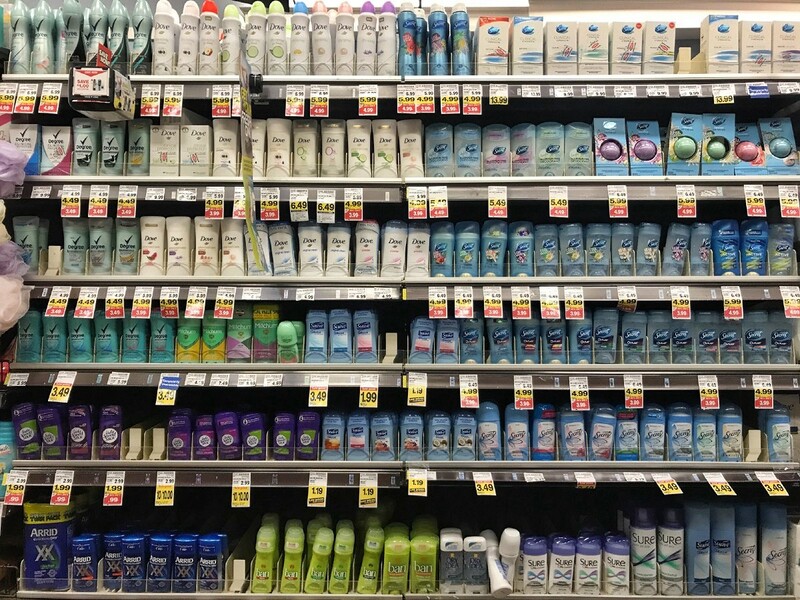 Years ago, there were 10 different types of deodorants on the shelves, now, there are 100. I’m not even mentioning the ones that are sold solely online. How can you make your product stand out in such conditions? The answer is ‘with brand strategy and design’. Experience this for yourself during your next visit to the store. Find a product category you haven’t paid attention to so far, and spend a few minutes there. You will realize that each item speaks to you with its own story. One will say ‘yes, I’m the most expensive one, but there is a valid reason for that: I’m the best quality among all’, while the other tries to convince you by saying ‘hey, I’m just like that one, but my price is a lot better, I’m the right choice’. Some others will go ‘hey, I’m here too, I’m here too’, but you probably won’t even notice them. If you are lucky, you will find yet another product that doesn’t look like any of them. It won’t be looking at you with begging eyes. You will find yourself staring at it with interest. You will immediately think that it’s ‘different’. In such a busy, noisy aisle, it would make you feel a bit better, and probably affect your buying decision. That’s the power of design and differentiation. I chose this cookie aisle for a quick test. As you see, there are many different products from different brands, but they all look similar, even though they have different designs. The only one that really differentiates seems to be the one in the middle, ‘Kashi’. 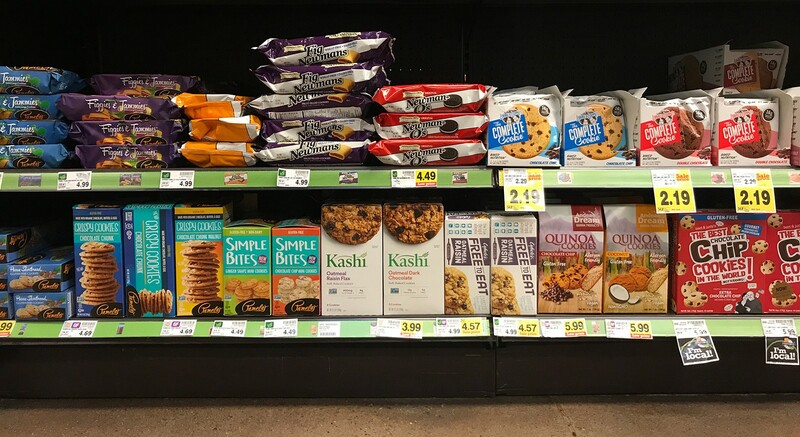 Without knowing anything about packaged cookies, my gut tells me that Kashi is more healthy and higher quality, even though it’s one of the least expensive options. Now, let’s get out of the store, and think about a different example. In the image below, you see two laptop computers with the exact same configuration. They both have the same processor, same amount of memory, same SSD storage and same screen size. 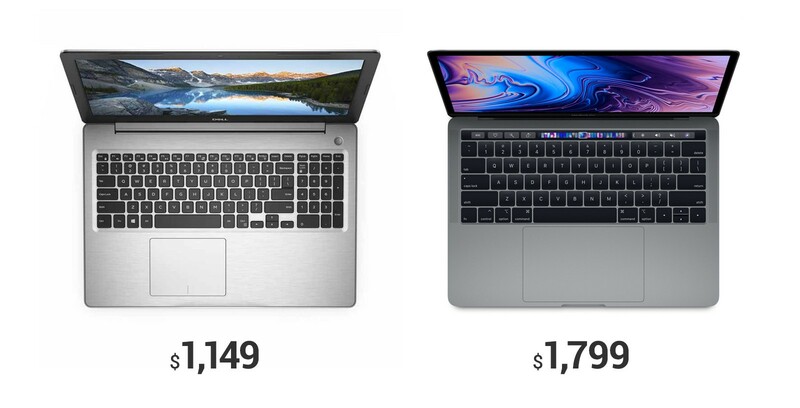 If we have a chance to completely ignore our emotions, and think only with our logic, there is no doubt that we would go with the computer on the left, and even make fun of people who would buy the one on the right! But today, we feel ‘proud’ that we get the one on the right, or feel bad that we can’t afford it, and envy people who can. That’s how branding manages our perceptions, and manipulates our emotions. But why do we feel better when we buy the one on the right? The computer on the left doesn’t speak to us. It doesn’t represent a value or an idea. We don’t feel anything when we buy it. We only buy the tangible product, the computer. The one on the right, however, makes us a part of a ‘club’. It gives us a social status. We become the smart one who is able to ‘think different’. We share a vision, an ideology, and more importantly, a ‘feeling’ with that brand, and therefore, we even voluntarily become their ambassadors. When we enter one of their beautifully designed stores, we feel at home. Some of us even wait in long lines to be one of the first people who touches their newest phone. We don’t do that to show off to other people. We do that for ourselves. We do that to ‘feel good’. This is what makes Apple the most valuable brand in the world. No matter how much money they spend on marketing, brands like HP, Dell or Sony cannot even compete with Apple. Let’s get back to your world, and your brand. You may not have billions of dollars to run an international operation with huge stores that are covered with giant glass windows and have high ceilings, or you may not have hundreds of millions of dollars to spend on advertising (yet), but you can still do something Apple highly benefits from. Right brand strategy and good design. The ideal way to go, is to have a professional brand strategy, use professional design services, and spare a significant marketing budget, to enter the market with a remarkable advantage. Other than a few exciting exceptions, it’s pretty unlikely for start-up companies or small businesses to have that luxury. However, it’s absolutely possible for them to have a professional brand strategy and get world-class design services without breaking the bank. Good strategy guides you on how to speak to your audience in the most efficient way, and good design helps you show them your brand’s true potential. Both are even capable of fulfilling a part of the marketing need, without doing actual marketing. Build your brand story and tell it to people with the power of design. You will realize that it is the best move you make for your brand, and in the long run, time will prove you right every single time.